I already commented yesterday on what I think are the causes of Eurostar communication failure, which have made everything more difficult than necessary for all impacted passengers and families during the tunnel crisis. With today’s information I can focus more specifically on a communication gap between Eurostar and Eurotunnel, the company operating the Channel tunnel. As some strained passengers already commented right after the emergency, it seems like Eurotunnel staff have been “more helpful” than Eurostar staff. And later today I came across this unbelievable press release from Eurotunnel (PDF) which is just as unreal as everything else. I would be even tempted to say it’s a scam. The title: “EUROTUNNEL RESCUES EUROSTAR“. These incidents were in no way due to the Tunnel infrastructure. Comment: this is in the 1st paragraph. This is called “first of all cover your back”. Comment: frontal finger pointing to Eurostar. This doesn’t show any cooperation at all. Note the generic term used: “Eurostar did not…” showing personal disrespect for the company as a whole, instead of an objective technical assessment such as “Eurostar trains did not…“. Comment 1: “made the decision to assist” – a decision was needed to assist? It should be a moral duty. And if previous statements are true, it is even Eurotunnel’s own responsibility and obligation! Comment 2: “to assist the trains AND the passengers” – with 2000 people stuck in an underwater tunnel in cold, darkness and without food who cares about the trains? Eurotunnel locomotives and Shuttles are prepared and maintained so that they are not affected by rapid temperature changes. Comment 1: not only this is another direct frontal attack to Eurostar, but also a useless statement because Eurotunnel’s locomotives and Shuttles don’t run at 186 mph/300 kmh so they don’t have to be prepared for such a scenario. Comment 2: this statement implies that the rapid temperature change has been the technical cause for the incident. A professional would have waited for the technical investigation to be completed by the relevant experts before confirming this theory. Overall comment: I totally fail to see the goal of such a release. What’s the point of celebrating at Eurotunnel against the failure of their twin partner Eurostar? Is this to preemptively cover someone’s back? Is it to demonstrate superior facts knowledge or better public relations skills? The above are symptoms of a deeply rooted organisational divide. These guys must have had fight after fight for years over who was responsible for what. There must be an “Us vs Them” syndrome of proportions we cannot even imagine. There must be very strict communication firewalls between the 2 bodies. Teams supposed to work hand in hand on the ground are probably restrained from talking freely to each other. There must be very clear territorial limits of responsibility marked with red lines on the ground. I can just guess what this meant during the crisis [note: this is my pure speculation and I don’t have any facts to prove this]. Eurostar staff inside the trains was probably not allowed to do and say anything at all. They have probably been waiting for information from Eurostar HQ, which was in turn waiting for information from Eurotunnel HQ. Eurotunnel staff have executed the emergency operations, and they probably have the instructions to report to central without leaking any information – even to Eurostar staff. Eurotunnel HQ has probably taken the time to verify every detail and ensure control before communicating to Eurostar. 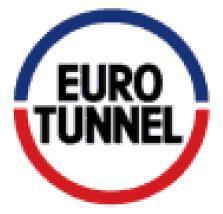 Eurotunnel is not a consumer facing company. Hence I am not sure if they have any marketing, customer service or consumer focused PR agency. I am not sure if they have any procedure for external communication at all. [There is an @eurotunnel Twitter account but it seems never been used]. This is probably a stretch, but if Eurotunnel zone of responsibility stops just outside the tunnel I wonder if this explains the reports from passengers that they had to wait again for hours once outside the tunnel for someone to come and pick them up. I want to make clear again that the crisis was extremely tough and could have had serious consequences, so I am happy that whatever has been done has worked and allowed everyone to return home safe. Some people from whatever organisation have indeed worked very hard and have to be praised. The communication and PR problems after all are secondary. But the communication failure has made everything worst and created unnecessary conflictual situations during and after the emergency. There could have been injuries due to stress and panic for some, or lack of water and food for others. Once we look into this communication failure, I come to the conclusion that the root causes are to be found within the internal culture created by both Eurostar and Eurotunnel organisations. In light of this, both Eurostar and Eurotunnel management should to be held equally responsible for having created a potential trap for their common passengers. I have watched this phone interview with Jacques Gounon, Eurotunnel CEO (in French on LCI TV). He also replays the Eurotunnel good Samaritan story by calling Eurotunnel “St Bernards” (Wikipedia: the St. Bernard Dog is a very large breed of dog, a working dog from the Swiss Alps, originally bred for rescue). At least he also praises Eurostar staff. His point is that the emergency procedures worked well and everyone is safe, and I agree. I still think that with such a corporate cultural divide it’s not easy to provide a smooth service especially in unforeseen situations and that’s what makes me nervous for the future. The Eurostar/Eurotunnel mixed roles in the communication problem are confirmed. Eurostar CANNOT talk to its train staff inside the tunnel. According to Eurostar, it is up to the tunnel operator to manage communication inside the tunnel. But for Eurotunnel, it is up to Eurostar to maintain the contact with the passengers inside the coaches. Once the trains are in the tunnel, the onboard staff is exclusively in touch with Eurotunnel. But Eurotunnel claims that for one of the 5 trains they did not receive any help request from Eurostar. I am now getting nervous for my future travels, because I don’t like the idea of being left alone in an emergency situation due to gaps in responsibilities. I know the Swiss Lötschberg situation, a 16 km long tunnel that basically connects Bern with the Rhone Valley in Switserland. It was the main artery for trains from Bern to Milan via the Simplon tunnel between Switserland and Milan in Italy until the opening of a new, wider tunnel, the Lotschberg Basis Tunnel in 2007 which is lower than the original one and that now is used for the passenger trains. Unlike the chunnel shuttles the carriages there are open air. If it is minus 10 outside and you sit in your car on the shuttle it will be fogged all over within a minute after you have entered the tunnel, because the temperature inside the tunnel is approximately 14 to 16 degrees. My point is that this is a very normal situation in tunnels in areas that can suffer cold wheather. We have many of those all over Europe. I am also not convinced by the technical root cause of the problem given so far, but I think it’s not so simple. The extreme cold might have required power generators in the area to shift power to other circuits and for some reason the Eurostar circuits lost power? Maybe an electronic security “feature”? In all cases I trust the engineers to find an answer and do their job. I am much more concerned with the Eurostar communication failure and I will try to learn more.